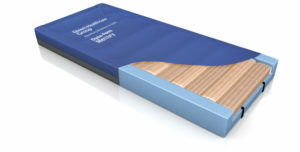 Dyna-Form Static Air HZ – A New Generation of Static Support Surface, developed in conjunction with the Welsh Wound Innovation Centre. 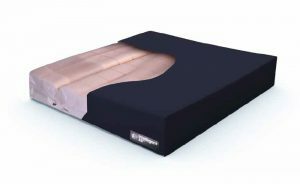 Dyna-Form® Static Air HZ is a mattress replacement system that combines the benefits of effective air displacement technology with the best of modern foams for a new standard of innovative pressure ulcer prevention and management. A new and unique ‘air only’ Intelligent Heel Zone and specially designed U-Core effectively offload pressure on the particularly vulnerable heel area. Dyna-Form® Static Air HZ is specifically designed for patients considered to be at ‘Very High Risk’ of pressure ulcer development. 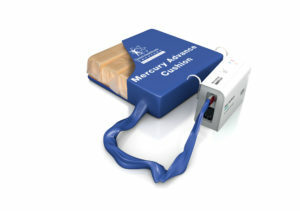 With patient compliance enhanced through the high levels of comfort offered and requiring no powered pump the system is ideal in community and palliative care settings whilst the clinical benefits and ease of use make it equally suitable in the acute ward environment. Incorporating air and foam and air only cells in the unique low pressure heel zone, a patented valve system allows Reactive Airflow System (RAS™) technology to adjust to the patient’s body weight and movement. 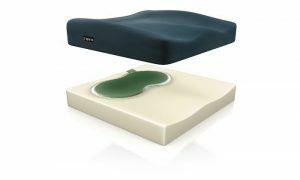 Dyna-Form® Static Air HZ pressure maps 20% better than a high specification foam mattress and has a higher maximum weight capacity of up to 40 stone / 254kg. All component parts are interchangeable and replaceable, maximising product life, reducing dynamic mattress usage and offering a very cost effective solution to pressure care management. 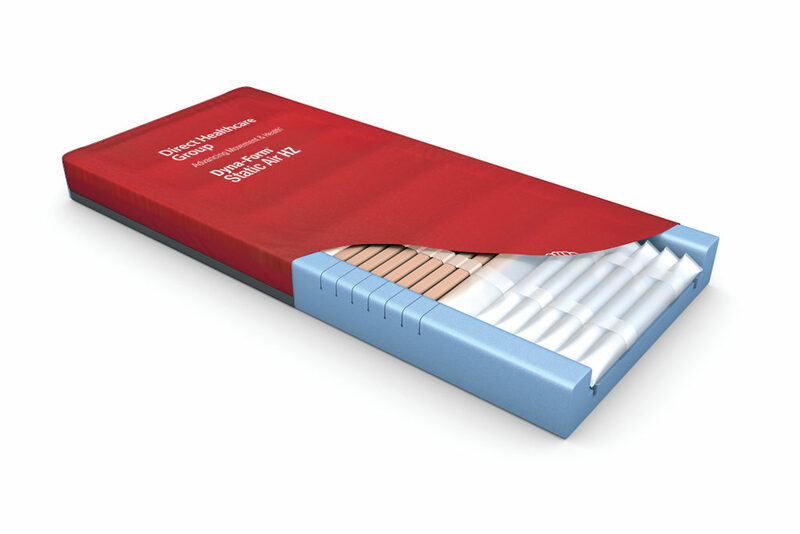 The outer Dartex™ vapour permeable, multi way stretch fabric cover incorporates high frequency welded seams and deep flap zip protection conforming to the strictest infection control policies. Do articulated bed frames increase the prevalence of heel ulcers?